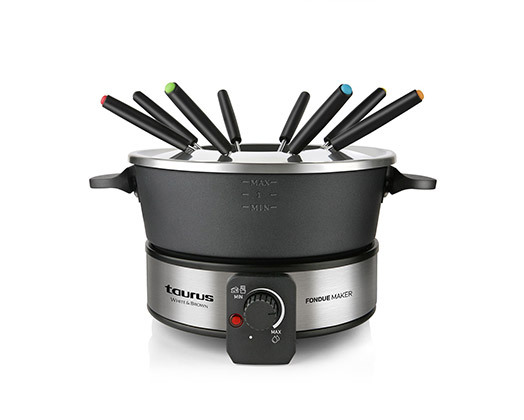 Taurus presents their new Fondue set. This is the perfect way to share your meals with up to 8 people. Includes 8 skewers in different colours with which you can cook your food. Create all kinds of fondues: oil, cheese or chocolate.